Globally known as city of fast cars and food Mecca, Modena is also the center of a great literary tradition claiming its place on the national literary map. Home of some of the most important Italian writers – Walter Siti, Marco Santagata, Edmondo Berselli, to name only a few – the city now hosts a new publishing house, Il dondolo Editore, the first digital and civic publisher, born from an initiative of Comune di Modena and Biblioteche Comunali, with the mission to publish only digital books by local writers, available for free download through the platform MLOL (Media Libraby On Line). Directed by editor and editorial consultant Beppe Cottafavi, the newborn publishing house will be presented in Milan on April 22nd, on the occasion of Tempo di libri, the new Italian Publishing Trade Fair. 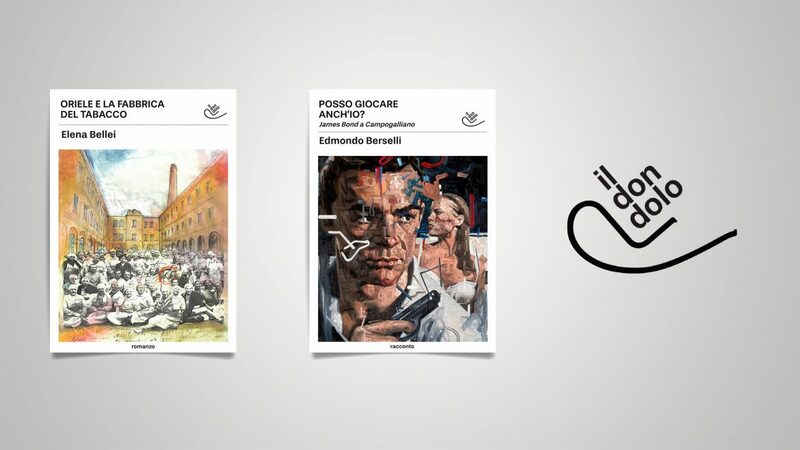 The first five publications include an unpublished short story by Edmondo Berselli, a graphic novel by Marino Neri, the debut novel of Alessandro Calabrese, among the finalists at Premio Calvino 2016, and Amici Nemici, a sort of pamphlet-dialogue between two heavyweights of our literature, Walter Siti and Marco Santagata, on their longtime friendship and rivalry. We were invited to work on the corporate image of the publishing house, starting from the logo, a graphic interpretation of Cesare Leonardi and Franca Stagi Rocking Chair (1967), their iconic furniture piece featured in the foundational MoMA exhibition Italy: The New Domestic Landscape. 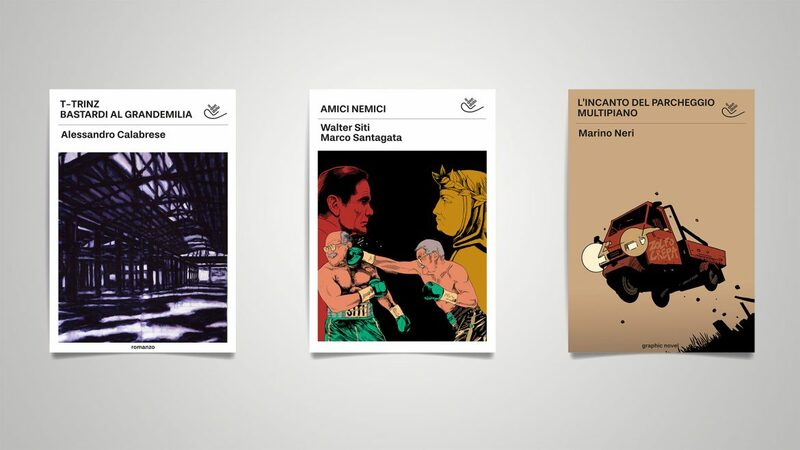 We also designed the book covers of the first five publications, keeping them simple and clean to draw attention on the artworks expressly created by artists Luca Zamoc, Marino Neri, Andrea Capucci, Wainer Vaccari, Andrea Chiesi.